It was a horrific experience, I tell you. But let’s start from the beginning. Suddenly, the happiness is interrupted by birds’ chirping. And not the good-morning-it’s-a-beautiful-day kind. It sounds like a fight! For life! It gets louder and louder! Terrified Intrigued by the sounds, I look towards the source. Oh, the horror! Our black lab is galloping towards a group of birds fighting ( probably for a piece of worm ), grabs one and heads back towards me! With the bird! In it’s mouth! The birds are chirping even louder! Now our girls are screaming! I grab the dog by it’s collar and try to make him let go of the bird! “Not infront of the kids!” – was my only thought. I had no idea what I was doing. I think I might have yelled something at the dog, try to shake the bird out of his mouth. As soon as I saw the bird on the ground, I held the dog with all my strength! Until the bird disappeared under the fence. I know it’s in his nature to be a hunter. He is a lab after all. But I just didn’t want my girls to see it! I remember my parents’ dog bringing his trophy to show. Few times it even happened to be our neighbor’s chickens! Anyways, the bird ran away in one piece. Chirping all the way – probably cursing the dog. 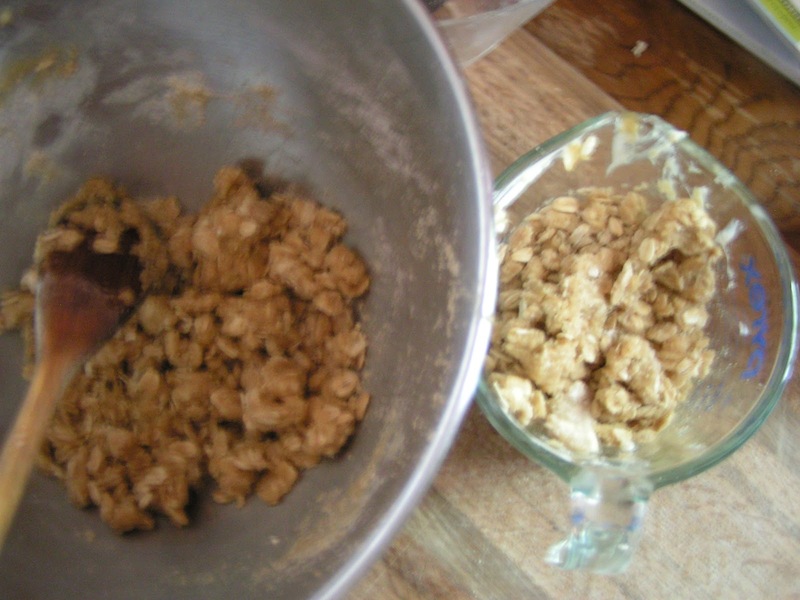 Because baking calms me down. 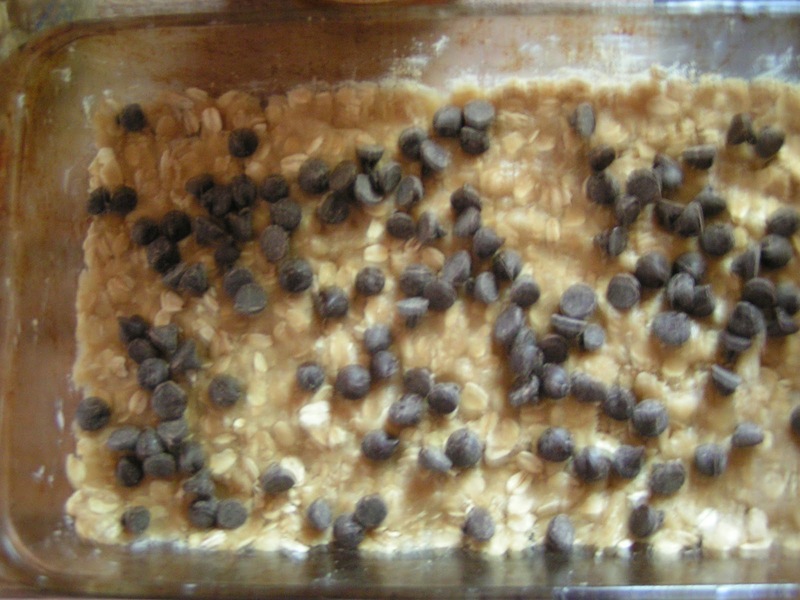 When you see how easy they are to make, you will be whipping them up in no-time! Place all of the dry ingredients in a large mixing bowl. 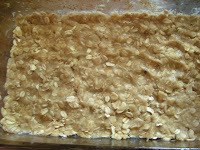 Reserve half of the oat mixture. Press the rest onto the bottom of your dish. 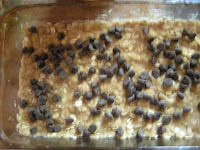 Sprinkle the chocolate chips over the crust. ( Sorry for the blurry photo 🙂 ). Preheat your oven to 350 degrees. Grease a 10″ x 6″ or 8″ x 8″ square baking dish. Set aside. 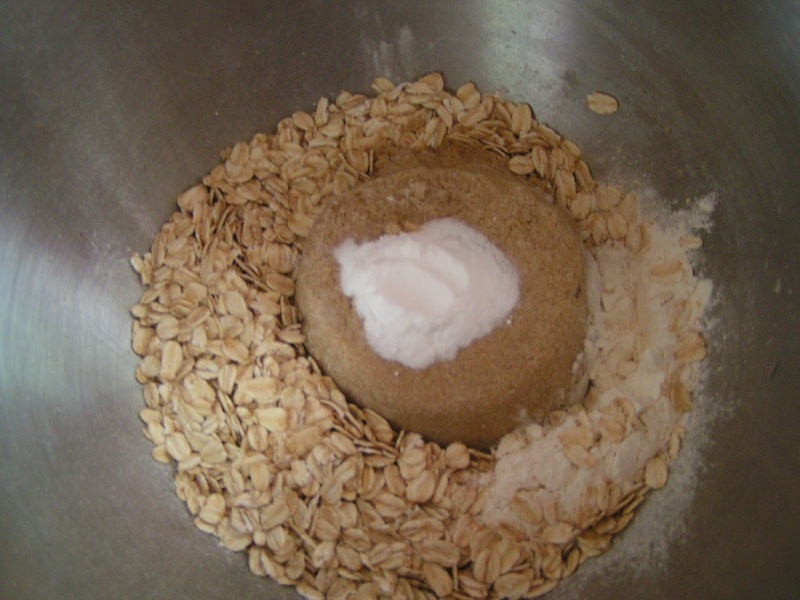 In a large mixing bowl, stir together the dry ingredients ( flour, oats, sugar, soda and salt ). Pour in the melted butter and stir until it all comes together. 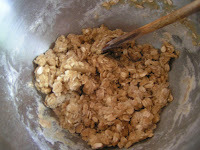 Reserve half of the mixture. Press the rest onto the bottom of your prepared dish. Pour the caramel sauce over the chips. 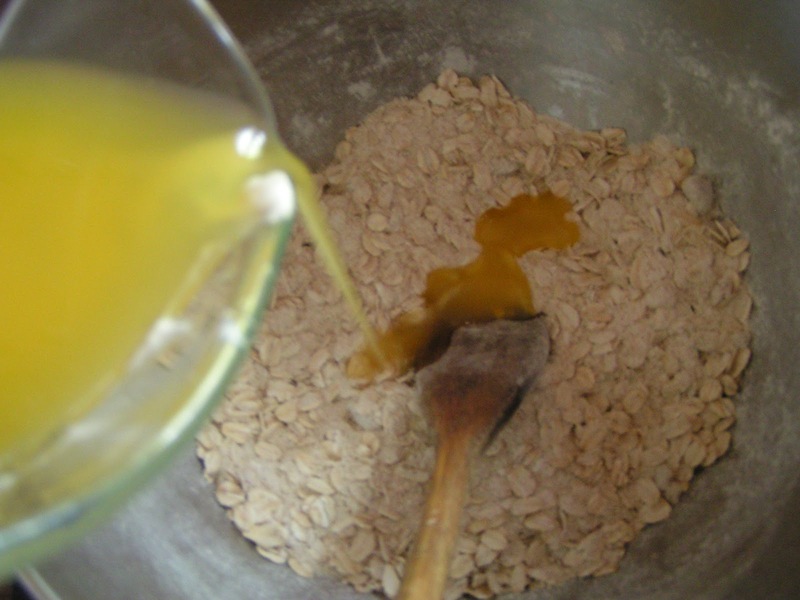 Sprinkle the rest of oat mixture over the top. 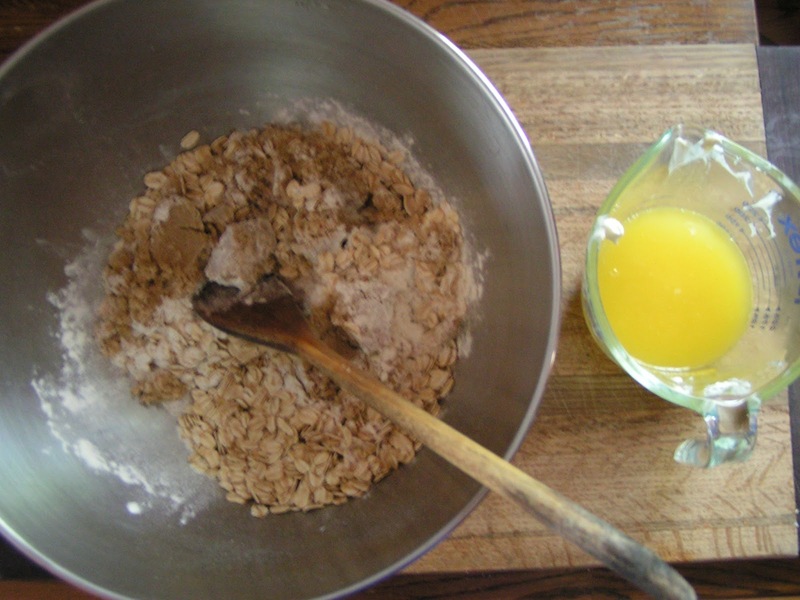 Bake for 22 – 25 minutes, or until the top is golden brown. Hi Anna, I am going to add these to my new Mouth Watering Mondays post. Come on over to see it next Monday and congratulations on the top 9 on Food Buzz. 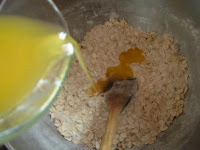 Do you get on there from your recipes being buzzed? Okay, so my dog would do the same thing if she could, she just isn't capable of actually catching anything (thank goodness). Love these bars, yummy!! 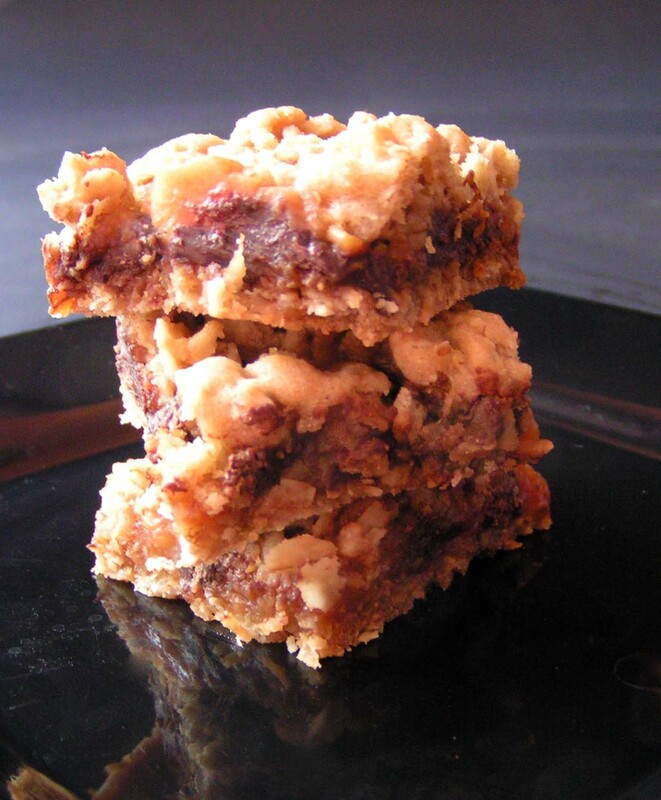 Wow, these look flippin' gooood! I am just about speechless. Yum! Anna, This is wonderful. I'm so excited to follow your blog. Thank you and welcome to CCS, Brenda! congrats on the top 9! and my son would love these, printing as we speak! Thank you so much, Sofie! I hope will! Wow! You did a great job in saving the bird. I could have freaked out if that happened to me. 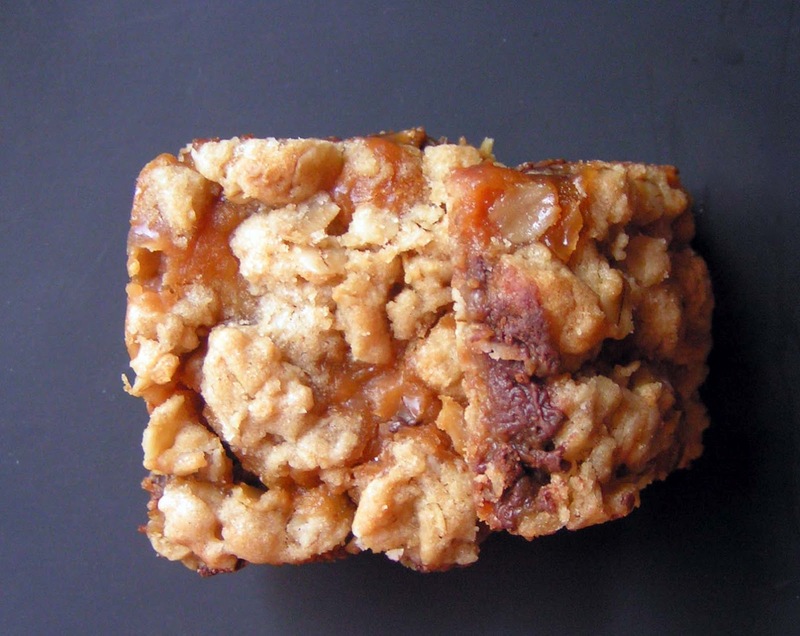 Your carmelitas look irresistible! I would be glad to have a piece right now. Saving a bird is an horrific experience! We have 2 cats and it's a constant battle. One brought a LIVE dove into the house and let it go! That was a trip! Anyway, congratulations on saving the bird!!!! 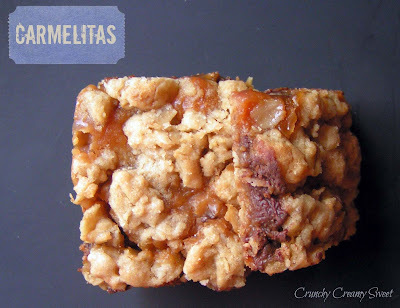 These carmelitas look quite addicting! I know I would love them and probably eat them all in one sitting. 🙂 Congrats on the Top 9! They did 🙂 Thank you, Soni! Oooo, they soooo are…. 🙂 Thank you! Baking calms me too 🙂 You definitely needed it today! My chocolate lab has chased down lizards at our house before and I always freak when it happens! Lol I am glad to know I am not alone 🙂 Thank you! Oooh! I adore these! Great pictures! Oh Anna! You're a hero! Way to save that bird! That would be terrifying to me too…especially since I am terrified of birds, but I could never let one be killed in front of me. You are brave! And these bars? Oh my! They are divine! I've missed you and am glad I am back to drool over your desserts! I agree 🙂 Thank you, Kristina! Love you blog! New follower, please follow back. Thanks! Thanks, Gina! Welcome to CCS! My black lab killed a rabbit at my mom's farm once in front of the kids. It was awful! 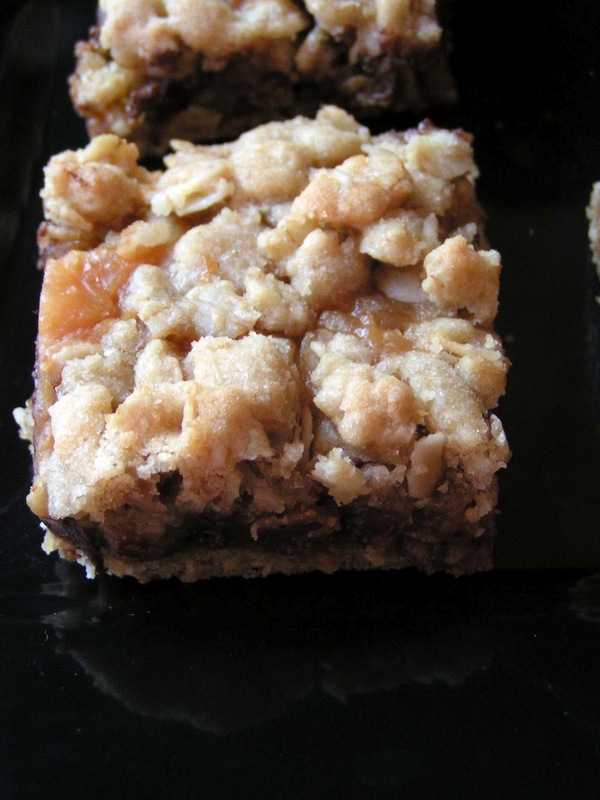 But on an upbeat note… your carmelitas look SO good! I need to try making them. As an avid birder, congrats on saving the bird from your pet. Pets should not be the demise of our wild animals. Cats in the United States alone kill over a million birds a year. Did I mention how I HATE cats? As far as the children go…well it's nature at it's finest lesson. Pay attention and don't argue or you may lose everything! Now, for the Carmelita's. I dated a Carmelita once. I am sure yours are much sweeter!! They are sweet indeed 🙂 Thank you, Richard! Oh wow, these look positively delicious! Carmelitas are new to me and they look delicious and healthy. Would make them sometime soon. Oh no! My moms chocolate lab has brought home many 'trophies' as well! Horrific! These delicious camelitas look like the perfect thing to turn a bad situation around! Yes, they are! Maybe that should be their second name 🙂 Thank you, Beth Michelle! I am still wary of birds after the whole bird flu thing. However, it is awful to see your pet become such a hunter and even worse to have the kids witness. Glad you could save the bird! 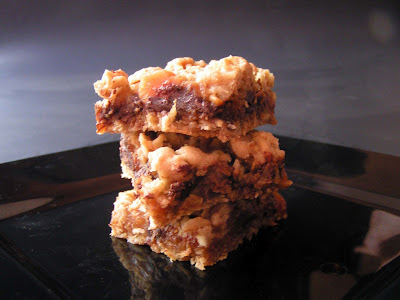 I like the blend of oats with chocolate and the caramel does make them extra special. 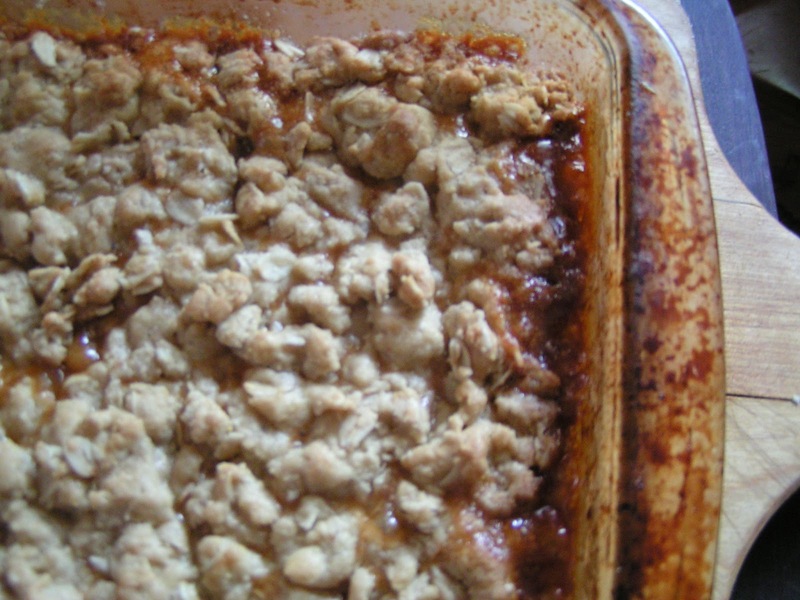 Great recipe-yum! My childhood dog used to bring us birds all the time. I tried to reason with him and explain why it was bad because it always broke my heart. I'm glad you were able to save it! Thank goodness Lambeau is too OLD to catch anything…I would have freaked 🙂 And I was so excited to see your caramelitas (which I must make again with homemade caramel sauce…YUM), and then even more excited to see you mentioned me! Thank you! These are one of my favorite bars, but I have to have a plan to give most of them away when I bake a batch…so I don't eat them all myself! 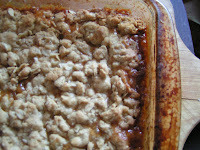 I knew they will be a huge hit if you recommend this recipe, Lizzy! Thank you! Sounds perfect! Thank you, Serena! Yes, they are 🙂 Thank you! Right away! 🙂 Thank you, Renee! What an adventure – and you are most heroic for saving the bird! You bet ya! 🙂 Thank you! What a crazy day!!!! Pretty awesome that you saved a bird, and it probably was cursing the dog as it ran away! Carmelitas sound awesome. I had never has one until last year when I bought one on a whim at Whole foods. They are amazing and I bet with your homemade caramel sauce it's even tastier. Aww, thank you 🙂 I hope you will give them a try! Oh Anna, I know just what you went through. I've been through this more times than you can imagine. My worst experience was when my youngest lab Cody,decided as I was walking them through the lane to go into a bush. He came out with a baby bunny in his mouth. Now this was at 7:00am. I've got my other dog on his leash and I'm screaming bloody murder. I can't believe the neighbors didn't come out. I must have looked like a blittering idiot, screaming and jumping up and down. Cody comes over and I see this little bunny with head hanging out one side of Cody's mouth and feet dangling out the other starring at me. OH heavens, what I didn't say to that dog. Somehow he must have known he would be in BIG do do if he didn't drop it and he did. Poor little bunny ran off and honestly I didn't know whether to thank Cody or scold him. I was completely exhausted after that. So believe me, I know what you went through. My husband on the other hand, just reaches in their mouths when this happens and pulls it out. Yuck, I can't do that. Anyway, your treats sound great and knowing Lizzy, they taste it as well. Hope your evening is better! Oh gosh! Poor bunny! That sounds even more horrific! Btw, my Hubs does the same. 🙂 Thank you, Vicki! these look great! definitely want to try! You will love 'em! Thank you, Jenn!